Among the rubble of an ancient temple, archaeologists have dusted off the oldest physical copy of one of the greatest stories ever told. The Greek Culture Ministry has announced the discovery of the oldest written extract of Homer’s Odyssey. 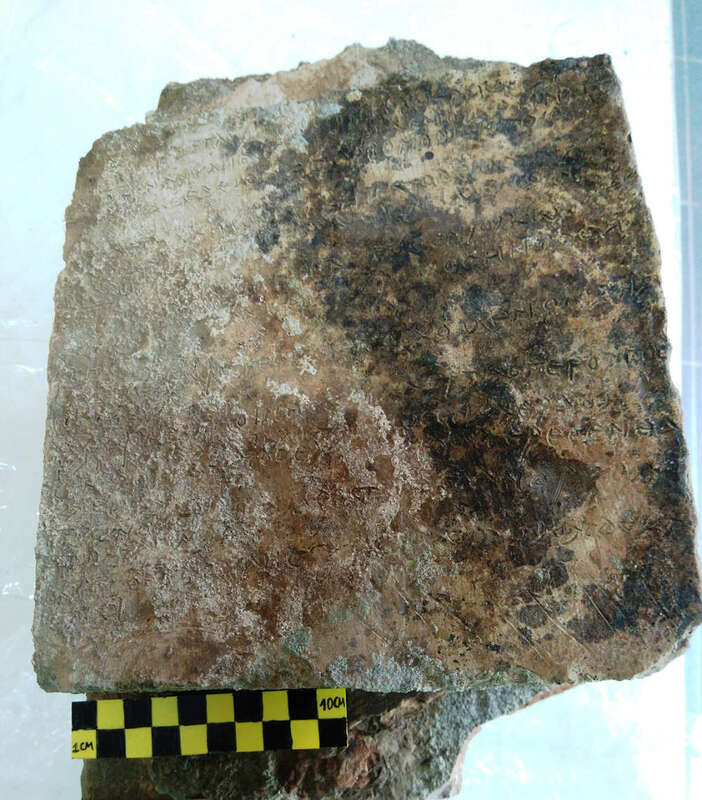 Initial analysis of the slab strongly suggests it dates back to around the third century CE during the Roman era, although the team is yet to confirm this through scientific techniques. The clay tablet, engraved with 13 verses of book 14 of the epic poem, was unearthed near a ruined Temple of Zeus during a three-year excavation in the ancient city of Olympia, Greece. This grand temple was also once home to the Statue of Zeus at Olympia, a since-destroyed colossal statue that is considered one of the Seven Wonders of the Ancient World. The Odyssey is a story of timeless importance. Homer is believed to have composed the poem near the end of the 8th century BCE, making it the second oldest extant work of Western literature, only narrowly beaten by the “prequel” to the work, The Iliad. It tells the story of the complicated hero Odysseus, King of Ithaca, who spends 10 years wandering the seas and land to get home to his kingdom and wife and son after the 10-year war and eventual fall of Troy. But the work is much more than a tale about one character's adventure. The 12,000 lines of poetry also document the grand historical events of the Trojan War and the fall of Troy in the 13th century BCE, one of the defining episodes of Ancient Greece. For this reason, the story is of great historical importance. In fact, a lot of what we know about Greek history, politics, culture, and mythology comes from the characters’ trials and tribulations with the Gods and mythological beasts, such as the Cyclops. Homer – if he existed – wouldn’t have actually written the story in the same way we think of an author writing a book today. The story was most likely composed orally and was more likely intended to be heard than read. Since most stories were transmitted this way, it’s actually pretty lucky we have any stories dating from Ancient Greece at all. This new discovery is important because it's the closest we have come to the original story, or at least when it was first written down, as like most stories told after the event and passed down orally, it's very likely that the story changes bit-by-bit with each retelling.